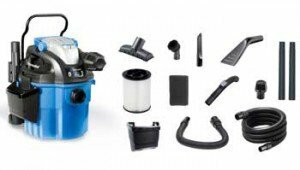 This VacMaster vwm510 wall mount wet/dry vacuum is powered by an industrial 5 HP motor and features a 5 gallon tank and a remote control. 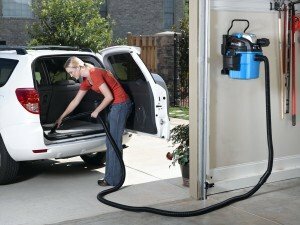 With a 20 foot cord and the option to take it of the wall and use it as a kind of shopvac this vacmaster vwm51 wall nount wet/dry garage vacuum cleaner can be used in several ways. After reading about this vacmaster vwm 510 on a lot of sites and forums we can come to the conclusion that it a pretty good buy for the money you pay for it. The blower function comes in very handy and the large on/off switch gets quit a few good recommendations. 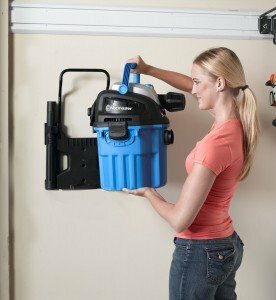 With its empty weight of 26 pounds it can be a little hard to get of the wall mount and when there is water in the container it can even be harder. 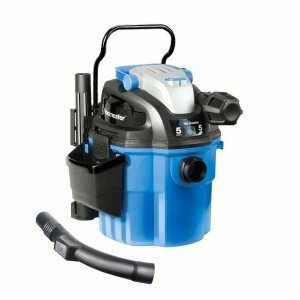 It is in the top 10 of wet/dry vacuums and that is not easy because it had to compete with a large number of high profiled brands. The number 1 and 2 star ratings always get a lot of attention by me because they might have found something other users have not found yet. Mot of the low ratings I read where about low air flow and the remote control on the hose. But there were only a few complaints about that and like we always recommend is that you check the products as soon as you can and send it back if you think you are not happy or think you received a faulty product. Overall I think we can recommend this wall mount vacuum cleaner as good buy. Like we mentioned that is has a place in the top 10 and that is not easy to accomplish in this competitive product category. The box contains everything you need and comes with all kind of useful accessories that can be stored on the vacuum cleaner. There is a 10 foot flexible hose and a 11 foot more stiffer hose that can be connected and so form a 21 foot hose. Put some wheels under a piece of plywood and use that to wheel the vacuum cleaner around when used of the wall. The air filter is sometimes hard to find in a local store so maybe order on extra while placing your order. Although the filter does not have to changed out to much. You can read more garage vacuum cleaner reviews on this page.